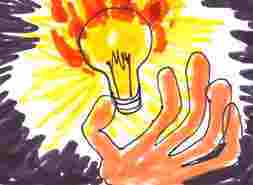 ArtReach's Thomas Edison makes history electric for kids! 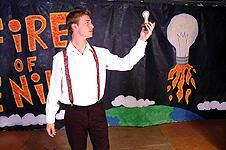 A great educational play for touring to schools! "Could a kids' show be more fun? More educational? More positively electric?" "Audiences will surely enjoy this energetic and exciting look at the man behind the magic!" 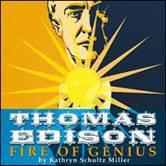 "Thomas Edison: The Fire of Genius, by renowned childrens theatre playwright Kathryn Schultz Miller, examines the landmark events in the great inventors life." 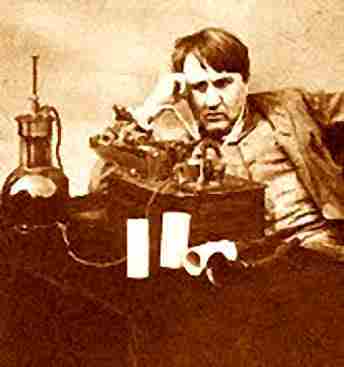 The genius himself takes the young audience on this inspirational personal journey from a troubled childhood to the triumph of his scientific discoveries. 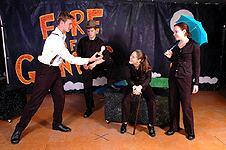 One Act Play for Young Audiences! Dramatic History & Science for Kids! History Gets Electric! "Could a kid's show be more fun? More educational? More positively electric? In a scant 45 minutes the show's four actors gallop their audience through the life and times of The Man Of The Millennium." Electrifying Edison! His Life and Times! 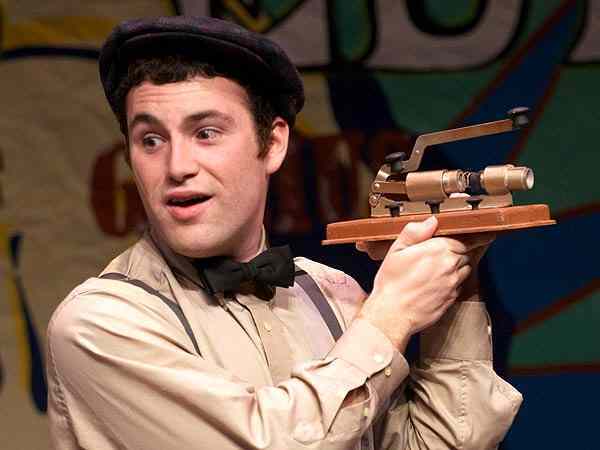 History is fun and full of lively comedy for School Kids Audiences! The Man Behind the Magic! Florida Rep's Tour to Middle Schools and High Schools! 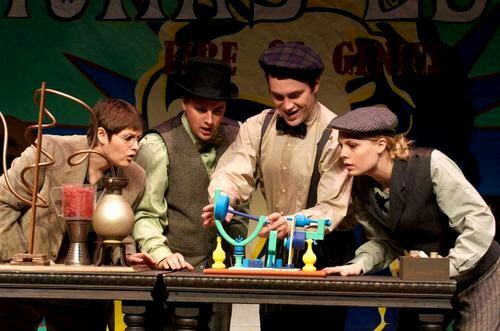 A fast-paced and zany look at Edison and life at the turn of the 20th century, Fire of Genius gives audiences a rare glimpse into the life and times of "The Wizard of Menlo Park." 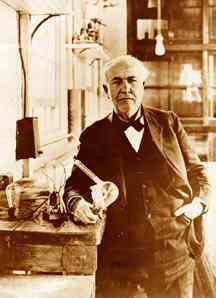 Edison's journey teaches children that "genius is one percent inspiration and ninety-nine percent perspiration." 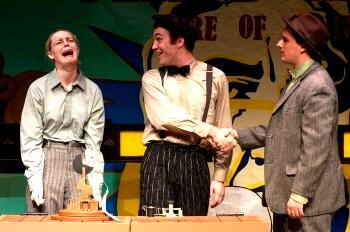 Terrific Play for Touring to Schools!